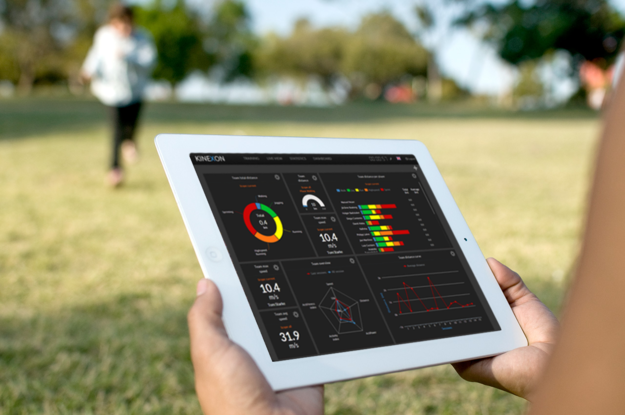 Athletic Lab Sport Performance Coach John Grace has elaborated neatly on The Athlete Monitoring Startup Kit and touched on some basic aspects of the logistics of athlete monitoring. This blog will have a more in-depth discussion about how the monitoring process actually takes place daily in a real world setting. There may be some overlapping information, but the concentration here is on some of the considerations that may need to be addressed in the process of athlete monitoring. While understanding the fundamentals of athlete monitoring is important, knowing how to execute the process is another prerequisite before starting the actual monitoring practice. These are not perfect practices by any means, but the following information may assist in running the show more smoothly. Keep in mind that this discussion is purely based on the personal experiences on the athlete monitoring that I had with Vancouver Whitecaps FC and the university soccer preparation program from Athletic Lab. It may sound simple on the paper, but athlete monitoring requires a lot of time and effort. The processes of analyzation and presentation are rather easier steps if you know exactly what kind of measures and data you want to unpack – These steps could be done solely on your own after all the data had been gathered. The logistics of athlete monitoring then really come down collecting data. The data collection process is the step that may need extra attention. It is very easy to miss data if you don’t pay attention carefully, especially when you are dealing with a squad of 30+ players. You may have to be obsessive to not miss any daily data points. The whole process is to try to gather the information you need without missing too much data which will give you the clearer picture of a whole. But, it may be unavoidable to have to omit daily data from time to time. Referring back to John’s blog, missing data is like missing individual pixels of the photo – missing too many data will blur the quality of the picture. Before even collecting data to start the athlete monitoring, the buy-in from the head coach is crucial. If you are in a team setting, the head coach should be willing to implement the athlete monitoring system if you can convince them of the potential performance improvement. If you have started to collect and analyze data, but the head coach doesn’t seem to be interested, it may not be useful in collecting. If the coaches all agree on having the monitoring system, the next step is to educate the athletes. The team as a whole needs to understand the purpose and benefit of the athlete monitoring system. This is a crucial step since the athletes need to have a clear understanding that it is not the means to judge their performances or lifestyles. The athletes need to fully understand that it is a tool that will help improve their performance, to help identify when to push or back off on their training load to minimize the overtraining and injuries. Once everyone recognizes what the coaches are trying to accomplish through the monitoring system, we can start collecting information. Speaking of the data collection, it could be divided into two separate domains: subjective and objective. The subjective data such as wellness survey, session RPE, and the coach’s assessment of the players could simply be jot down using pen and paper. These are the measures that could be quickly written down without having an input from the external sources. 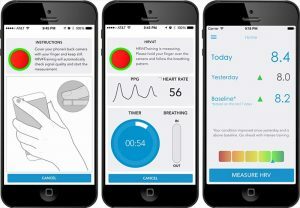 The objective data on the other side, such as HRV and GPS, rely on the external inputs from technology and devices. A lot of objective measures require some type of measuring tools either being GPS tracking system or simply being a watch to measure the session duration. Unfortunately, the more expensive the technology is, the less readily available it is for many coaches and athletes. The subjective data collection is simple in a way that it doesn’t require expensive gadgets, but it doesn’t mean that it is less meaningful than the objective data. Having a different set of measures for monitoring is critical in viewing the all-round dimension of the athlete. While the objective data tells you exact metrics from the technological devices, the subjective data tells how the athletes actually embrace the training load and the life stresses. This type of monitoring is invaluable if not more valuable than the external objective figures. The accumulated subjective information from wellness surveys could display the trends over time and the coaches could detect any out of ordinary scores or life style habits that may need an adjustment. Then, the question comes down to how and when do we collect the subjective data? The best time to have the daily wellness survey is when the athletes initially arrive at the locker room. The survey questions should be simple enough that it requires a minimal effort for athletes to finish the task. Most athlete monitoring should not take longer than 1 or 2 minutes as you’ll find athletes don’t want to be held up for too long. There are many ways to collect survey scores such as using different technological devices like iPads or smartphones. I found that it was easiest and most efficient to use pen and paper. Having such technological devices may catch an athletes’ attention at first, but technology isn’t the point. The purpose here is to collect the desired data in a most effective and efficient way. It may not be ecologically friendly but the traditional pen and paper did the best job. It may be extremely convenient if we set up a station for wellness surveys somewhere in the locker room and have the athletes complete the survey first thing as they walk into the room. Often times, it doesn’t work that easily. It is hard to count on every athlete to complete these daily tasks on their own every single day. Even the most committed athletes may forget to complete the survey. There is also an issue of confidentiality. Some athletes may not want others to see their numbers. It may sound inconvenient, but it worked best to go around the locker room to ask each individual player on survey questions. Athletes only needed to verbally answer the question or call out the number for each question (i.e., Q: stress? A: 3). It makes the process easier if there are more staffs collecting the data especially with the bigger squad of players. The collection procedure may be much easier in a college/scholastic setting where athletes are more compliant to the coach’s words. The idea of survey station may actually work for the student-athletes. At the university soccer preparation program, I have left a sheet of paper for athletes to write down the session RPEs after the training session whenever I wasn’t able to be on site. The athletes were compliant enough to meet the expectation without missing data. It may have been easier to do it this way since it is a smaller group than most teams, but the student-athletes seemed to be more accountable to coach’s word. The subjective session RPEs are also a simple but effective measure that could to be gathered. The best time to ask for RPEs is the time when the athletes are cooling down after the session. A lot of time during the cool down, there is a time for static stretches and that is a good time to go around to ask each player how hard the session was. If there is a gap between the end of the training session and the time asking for session RPE, not only the risk of missing data increases, the measure may be discrepant as there was a time of recovery. It is a totally different scenario on the game day. It may not be appropriate to ask for wellness surveys or RPEs on game days. The monitoring system supposed to assist the athletes to perform better not to interrupt. The athletes become more sensitive on game days. If the surveys interrupt their preparation for the game, then it may have to be omitted. Same goes for the RPEs. On the days that they won, everyone is happy and the athletes may not be bothered to answer the RPEs; on the days they lost, you may have to reconsider asking for their RPEs. For the objective data, if you are looking to collect daily test data such as HRV, resting HR, and/or vertical jump test, it is best to have the tests at the same time, condition and circumstances as possible. For example, HRV and HR are sensitive to time of day – it is suggested to have measurements as soon as you wake up. The performance tests such as vertical jump test to measure the daily power output, it would be rational to have them after some sort of warmup has been done in order to reduce the likelihood of injuring themselves. Again, these tests should not take more than a minute per player to both keep the athletes engaged and not to interrupt with the training sessions. If you have the luxury of having access to higher end technologies such as a GPS system, there are more preparations and planning. The GPS system usually comes with the tracking device and other gears that hold the trackers such as compression gears or straps. In order to make sure everyone wears the GPS trackers, the staff may have to put the tracking device and strap or compression gear attached and put them in the lockers before the athletes arrive. Even then, there will be some athletes who forget to wear the compression gear. You may need to consider these worst case scenarios and always bring out extra compression gear and trackers out to the field to counteract. The technology doesn’t always work perfectly. Some days GPS system may not work due to various technical difficulties such as lost connections and/or random errors. If the system doesn’t seem to work or crashes down while on training, there is not much you can do. The importance of having various measures and monitoring tools becomes vital. There are many ways to operate athlete monitoring. The processes described above worked best for the situation where I was, but it may not be same for other circumstances. The logistics of athlete monitoring depend on a number of different variables such as the team environment, compliance, what is available or not. In the beginning, you might have to make adjustments here and there. As the time accumulates, you will find a system or logistics of what works best for the given situations. Learn by trial and error to build your own monitoring system that works best for your team.